Over the course of the last two month I’ve been experimenting with A2 Hosting, so it’s about time to put my thoughts on ‘paper’. I signed up to test the Swift Shared hosting service as I think this is the most widely used service. The shared hosting that I’ve tried offers basically all the standard features that we can get from most web hosts, and there are features that distinct them. The fact that they utilise Solid State Drives (SSDs) for example is such, but we shouldn’t forget about the free backups either. Depending from how deep we look at the services, we can find other as well which makes them unique – but most of the time difference comes not from a different service but from the services being delivered in a different way. Support is one good example to this. Besides being US based, they also have a priority support for a flat fee as detailed in a review on Webhostingsworld. This is ideal for individuals/businesses who want to make sure they are on top of things all the time. Obviously wait time is cut down even during peak times when conventional support for the masses can be stretched to the limit. 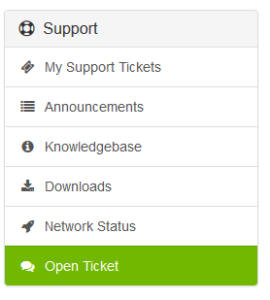 The live support is a blessing, so is the live network status monitoring. This is really helpful in case there is an issue and clients would like to know if A2 Hosting are working on it already. As mentioned earlier, they have global coverage with data centers around the world. This ensures the same user experience for all visitors around the globe depending from which data center we choose as target depending from customer base. The Swift plan would be the most widely used in my view, not offering above the average performance boosters, so it gives a good opportunity to test like to like. Based on this I can say that running on WordPress it is about 50% faster than most the similarly priced plans that I’ve tried with other web hosts. If you’re going to go with shared hosting, I’d say definitely choose Swift at least. The small difference in fee gives a significant difference features. With this being said, the difference between the shared plans can be seen in the below table. A2 Hosting has a pretty decent trial period and they actually give customer’s money back without hassle which cannot be said about a number of well-known web hosts. This is valid for 30 days and it is not applicable to the domain and other features that are included for free but would be charged independently otherwise. One of the biggest advantages besides speed is the fact that they make sure clients can use the latest versions of web technologies. So you can use the latest version of PHP, MYSQL, APACHE, PERL and PYTHON among others. cPanel is also a tool that I’m fond of and used to working with it, so I like that they provide that as well. Briefly, this is what I think about the service I’ve tried. I understand I haven’t used the service to its fullest, and there could be more to cover. However these are the most important elements that the average user will use in my opinion. The web hosting world is full of scams and fake reviews. I have decided to write a *positive* review of a hosting company, namely TMD hosting. I have added some references where other people on the internet match my account. Choosing the wrong hosting company signifies an online business failure as your visitors will always be discouraged from visiting your website again after having the first bad experience. The need to have a high-quality web hosting service has therefore made TMDHosting to be very popular on the internet. TMDHosting is a popular web hosting company based in Los Angeles, CA. The company is one of the industry leaders and has been operating since 2007. After having built a solid reputation for customer support and reliability in the shared hosting market, the company has now delved into other areas like dedicated, reseller and VPS hosting. Since then, TMDHosting has been growing every year with different parts of the world. The company also runs a call center in other parts of the US with many satellite technicians here and there. Quality of web hosting service – TMDHosting has many web hosting packages for both small and big businesses. You will also come across packages for e-commerce and multi-media, in addition to the hosting for information/educational sites. If you are just starting online, the company has shared hosting to host unlimited websites. If you have a lot of businesses, TMDHosting also has dedicated servers to meet your requirements. If you cannot afford that, there are many mixed hosting options in-between. Reliability – We discovered that TMDHosting is a reliable web hosting company. The reason is that the company is generous with its data transfers and storage. This means that your website will never be down, or would you need to be afraid of security breaches. Every web hosting package of TMDHosting comes with software worth more than $800.00. The software includes the ones to create a photo backup, your own logo, and many other cool tools. There are tools that also enable you to update your website from any part of the world. Control panel tools – TMDHosting provides hosting with control panel with different scripts to create and manage your websites. Some of them are Perl, PHP, Python, Ruby On Rails, SSI and Customizable error pages, in addition to the Fantastico script library which enables you to install the different software suites. You will also have software for blogs, forum, content management, guestbook, project management auction, wiki, classifieds and so on. Cheap – TMDHosting provides shared, reseller and dedicated hosting plans that are very cheap. You will always have a nice value for your money. A hosting plan starts from as low as $5 per month and you will always enjoy the service. Of course, there are some other companies with cheaper rates, but the service is what makes the difference. TMDHosting provides rich packages backed with excellent infrastructure, in addition to excellent customer service and support. For the cheap price, you will get highly skilled and talented employees who are ready to attend to your needs. I have written this review after careful study of what the company provides. If you really want to have a profitable online business, you should always look for the company that provides the service that will meet the challenges of your business. The secret to success starts from choosing a reliable web hosting service, and that can be found in TMDHosting. iPage has some major advantages over other shared hosting providers in the same price range. Both email AND toll free phone support are available 24/7. They have no setup fee, even if you only want monthly billing (most cheap hosts only waive the setup fee if you pay yearly). And since they are on a Windows platform, you get both PHP/MySQL and ASP/Access with up to 5 data sources. CGI/Perl is also available, as is the ASP.NET platform. 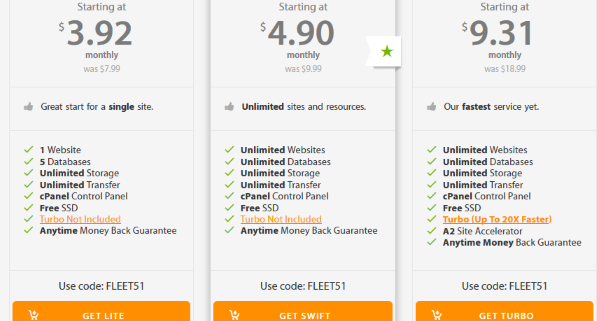 It is very difficult to find all of that being offered by another hosting provider for $7.96 per month. The amount of disk space, bandwidth, email accounts, and FTP accounts you get with the iPage Basic Plan are far beyond the needs of the average website. You can check a couple iPage reviews to see what customers say about about the plan. The minor shortcomings of this account are that no FrontPage extensions are available, and there are no pre-installed shopping carts for Ecommerce. However, this plan can certainly be used for Ecommerce with any shopping cart that can be setup on a Windows hosting platform (shared SSL is included and private SSL certificates can be installed). The Basic Plan from iPage is by far one of the best low cost Windows hosting accounts available today. At iPage, we maintain our own Data Center located in the same building as our corporate headquarters. This allows us to quickly assess and resolve any problems that may occur and monitor our systems to the highest degree to keep our network running at maximum potential. All of our Windows web hosting accounts come with a 99.9% uptime guarantee. iPage, Inc. was founded in 1998. Since then they have grown into a full scale Hosting / Ecommerce company, expanding our facilities and customer base. Over the years their fast and reliable service has attracted a large local customer base, but they have now expanded their reach to the entire nation and are growing more rapidly than ever. Experience and knowledge of the Internet, Web Hosting, and Ecommerce is their specialty. Management came straight to iPage from running an Internet Service Provider since 1994, giving iPage over 7 years of real world experience in the industry.